In February 2013 I started my internship at Ons Plek Projects. I was very exited to see where I would be working. When I arrived the first day, I felt welcomed and everybody that was there started to speak to me. The first week was an introduction and I could observe how they work here. It was a lot to take for the first few days; I was overwhelmed with information and people. But I loved it. Every body was so nice and interested in what I did. It didn’t take long before I started to feel myself home in the project. Then it was time to go to Phillipi, to the Ukondla Project. This is a part of the whole Ons Plek project where they are working preventable with children in the township. Children arrive here after school and we help them with their homework and prevent them from bad influences on the street in the time they are with us. It was a wonderful experience of working there. Working in a township is very different from working in the big city of Cape Town. Because I work in the city itself and in Woodstock and in Phillipi, I had the chance to experience the 3 different kinds of work that Ons Plek projects provide. They all hang together on their own different way. My colleagues gave me a wonderful time here, whenever I had a problem, even when they had nothing to do with work, my colleagues were always there for me. Because I am so far from home, it feels really nice that you still have people that support you and listen to you when you need a pep talk or when you just feel like telling things. They supported me during my whole internship and I am really grateful for that. And then of course, there are the children. These children made my stay here in South Africa magical. I got to know them, there was a bond growing between us and I started to love each and every one of them. I had a wonderful time with the children from Ukondla, and when I had to say goodbye to them, I couldn’t help but shed some tears. I knew I was going to miss them so much. I had so many great times with them, we played, we laughed, we studied, we did so much together. Every week I also had to work with the Ons Plek girls. Since some of them aren’t going to school yet, I had to provide a bridging school for them. In the beginning I felt like this was difficult because I didn’t knew the girls, but as the time passed by, I got to know them and it all worked out. These girls are amazing. They can make your day wonderful with their enthusiasm when we are doing an activity. But I also had to cope with some harder moments when there where problems. In these situations I learned a lot of coping with difficult moments. In generally I learned very much from the work here and I noticed that I have grown a lot in what I am doing, but also in who I am. Since I came to Africa, I really had to learn to stand on my own two feet, without the safe environment of my family. 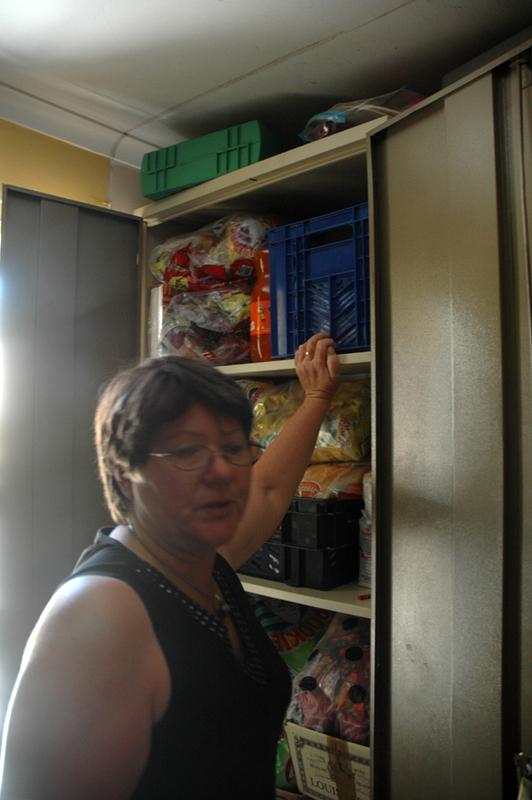 I noticed that I became much more independent in my stay here, and Ons Plek Projects helped me with this. I also want to say thank you to each and every member of the Ons Plek Project for making this all real for me and for giving me such a nice moments and learning experiences. I loved it to work here. And I want to thank every child for being who they are and giving me such a wonderful time. I will miss each and everyone from the children and the staff, thank you for everything that you have given to me. I will never forget the time here in South Africa with all of you. Thank you. The first weeks I was excited, overwhelmed and sometimes confused. An exciting new country, new faces, a different culture and the children’s stories – that’s a lot to deal with! But there was always somebody to listen to me if I had any questions or problems and I felt very welcomed. I noticed that at Ons Plek they are not only interested in you as a worker but as a person and although there’s so much work to do there’s always time to share problems and laugh together. I learned to work in a team and to settle differences together when there was a need for it. 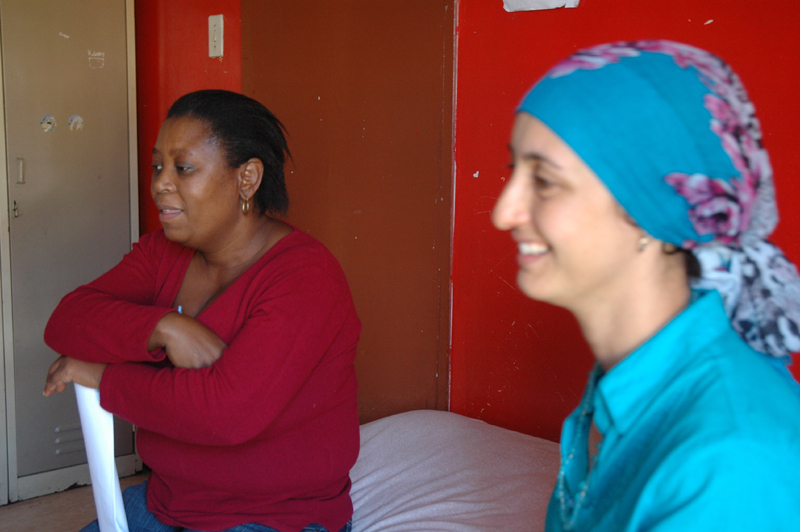 Working with the girls in town and with the children in Philippi was a big challenge for me. As I’m looking back I see how insecure I was in the beginning, how relationships grew over the months as I got to know the children, how I enjoyed work more and more and how much I learned in terms of approaching the children, doing group work, planning activities and getting a bigger picture of what our work is about. Of course there were also difficulties like for example the language barrier. The Director Pam and my supervisor Yumna always offered their advice and support for which I am very grateful. It’s the staff’s passion and energy that make Ons Plek’s work special. I greatly appreciate all the time they invested in me and I hope I could give something back. I also couldn’t help but falling in love with South Africa. Like many foreigners I had heard a lot about crime in South Africa, but if you keep rules like not walking alone in the dark and in certain areas you should be fine. The breathtaking nature, the relaxed atmosphere and the amazing people I met here make my time in Cape Town something not to be missed. My time at Ons Plek was a great enrichment for my studies and also for my personal growth. I will miss the children and my colleagues a lot. Thank you for everything! Keep up the good work you are doing and be blessed! 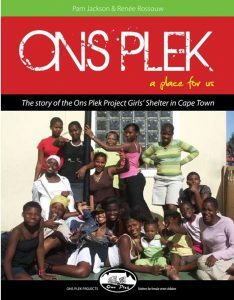 I must admit, that I’m really impressed by Ons Plek Projects and about the way the different projects are being run. My University College back in Denmark, are sending people to a huge variety of countries, and therefore really tries to prepare us students beforehand for some of the many different cultural differences and difficulties we might experience wherever we go. Concerning Ons Plek Projects, its my impression, that the organization is professionally run and predominantly very well-organized. There is a vast amount of documentation and administration work, is being done regularly, as well as the frequent amount of different-purposed meetings, extend of teamwork and exchange of knowledge. On the opposite side of organised. It is my experience that miscommunication does occur within the organization. I won’t categorize the reason for, lack of communication, as being due to cultural differences, because it might have as much to do with any person acting as an individual in opposition to representative for a specific culture. But I can probably only come up with less than a handful of experiences that have been so different and strange to me, that I couldn’t imagine it happening within a similar organization in Denmark. I see more resemblance than difference in the work, methods, ethics and organizational culture at Ons Plek Projects compared to what home. This was something I definitely didn’t expect. I am impressed at how things are run and the immense personal enthusiasm and passion I meet and feel everyday walking through the doors at Ons Plek and Siviwe. Amazing. Our introduction week was good. I really need to compliment Yumna for the way she received me. 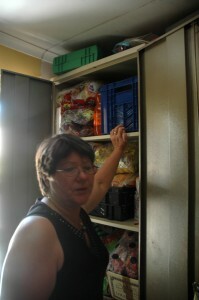 She has been over-all remarkably, being open, welcoming and good at introducing us to many different aspects of the work. To the best of her ability and especially busy and scarce time. As students we were split up and doing different stuff at different times, one attending this meeting, another morning school and the third a different meeting. This has both positives and negative sides. One positive is it gives you one-one contact with staff and the possibility to connect and interact personally. From time to time it has been difficult to participate and especially initiate projects in Ukondla because of the language barrier. But I really believe that it’s possible do so, if you keep on trying and eventually find out which children will help with translation. In my opinion, difficulties experienced in Ukondla with both children and staff, has more to do with communications skills and cultural misunderstandings than anything else. If you work at Ukondla, you’ll need to do is sort out a car! Philippi is high risk crime area and no interns or volunteers are allowed to travel there by public transportation for safety-reasons. That being said, once arriving and working inside the area of Ukondla is considered perfectly safe. Your colleagues will take charge of frequently accessing possible risk, such as demonstrations being held in Philippi alternative work-plans might be planned due to precaution and the safety of staff, interns, students and volunteers. In Philippi, a big percentage of the children lack the ability to understand and express themselves in English. This is definitely very challenging and communication with colleagues or bigger children is essential to interpret and facilitate activities. Spend time on getting to know the English speaking children, because these might help you a lot with interpreting English into Xhosa. Even if some of the children don’t seem to speak English, they still might be able to translate and interpret messages. In Ukondla, it is a good idea to select some children (approximately 8 – 10) and start by focusing on them early on, learn their names, help them individually with schoolwork and thereby be able as soon as possible to help out the staff with administration and statistics on the specific children. Do try to speak Xhosa, I promise you’ll have fun trying. Don’t wear jewellery, watches, bags, etc. in Philippi-you never know when someone might want your stuff so better safe than sorry.